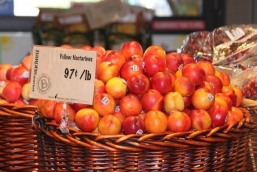 May 17, 2015 (San Diego’s East County)--Peaches, Nectarines, Apricots, and Plums are all coming into season again! Time for fruit salads, fruit salads with yogurt, ambrosia fruit salads, as well as pies and cobblers and just good ‘ol out of hand healthy snacking! Peach Cobbler? My wife Dianne is starting to use “stone fruit” in her meals at home and her Peach Cobbler is incredible. 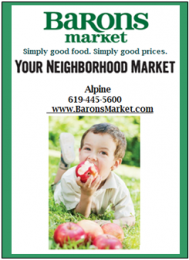 She picks up her peaches and nectarines at Barons Market in Alpine. Her recipes for Peach, Cherry & Chicken Salad, Peach Cobbler and Grilled Stone Fruit Dessert Pouches are at bottom of this article. 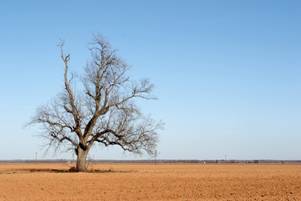 May 2, 2014 (Sacramento)--As the drought intensifies, a new report by the California Department of Water Resources reveals that groundwater levels across California have historically low water levels. Half of the 5,400 wells studied had shrunk to levels lower than seen in the last 100 years.